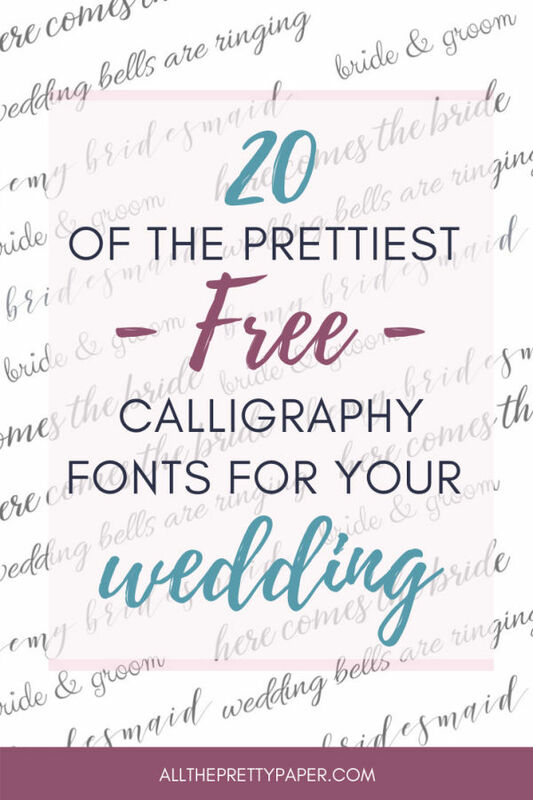 If you’d like to DIY your wedding stationery and fancy the calligraphy look without the hard work, then check out these 20 free calligraphy fonts that you can nab to create your wedding cards. Wedding Stationery with calligraphy text has been one of the prettiest wedding trends for a few years now and it isn’t going anywhere just yet! In an ideal world, we’d all be master calligraphers and would create all our wedding invitations by hand. But… not everyone has time for that. Note: some of the links below are affiliate links. This means that if you click on the link & make a purchase, I may receive a small commission, at no extra cost to you. Each of these free calligraphy fonts to download is free, as long as it’s for personal use – but please always ensure that you check the usage restrictions yourself. BONUS! Many of the free calligraphy fonts are already free text options in Picmonkey, so if you want to design your cards using Picmonkey you’re all set and don’t need to download the fonts separately. I created all our wedding stationery using Picmonkey, so I can highly recommend this option. Why not start a 7-day free trial and find out for yourself?! Before you go and download a font you like, check to see if it’s already installed on your computer. A quick way to do this is to open a Word document on your computer and scroll through the fonts that are available – you might be surprised! 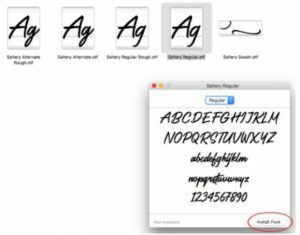 Fonts will download to your computer as either an OTF or TTF zipped file (If you have a choice between OTF and TTF, choose OTF). Open the font folder on your computer, double click on the OTF/ TTF file you want to download and click ‘install font’ when prompted. Restart your computer and your new font should now be available for use on your computer (and on design programs such as Picmonkey*). Easy peasy! Need more help on how to use free calligraphy fonts for wedding stationery? Not that enamored with any of the options above? Why not check out some premium calligraphy fonts that you can purchase from Etsy or Creative Market – these are usually priced from about $15-25. I invested in a premium font for our wedding and it was totally worth the $20 I paid. I’ve curated my favourites available from Creative Market at the moment, see if any take your fancy? 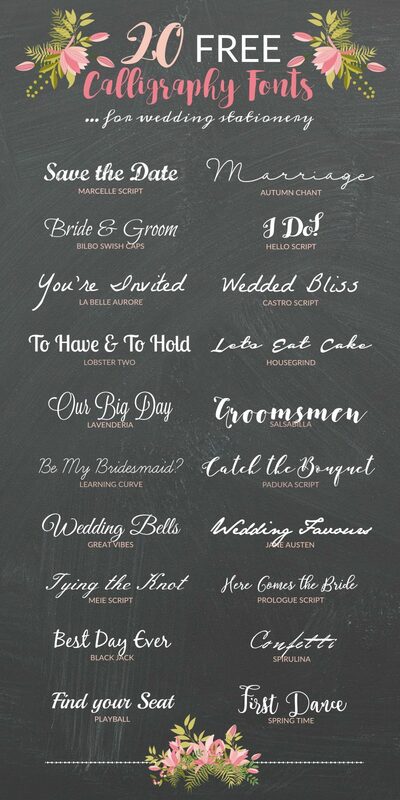 So, you have so many choices when it comes to gorgeous calligraphy script fonts for wedding invitations. Which of the best free calligraphy fonts is your favorite? « Printable Thank You Card… Green Botanical Prettiness!